Josh’s country stroll “Dark Highway” is a gentle prod at humanity inspired by the night his van broke down and no one stopped to help him. He wrote the song in the back of the van to kill time until assistance arrived (“obviously I eventually got out of there” he says). Then there’s the overtly poppy “Blindly Believing,” complete with a killer hook that explores the fleeting nature of love. 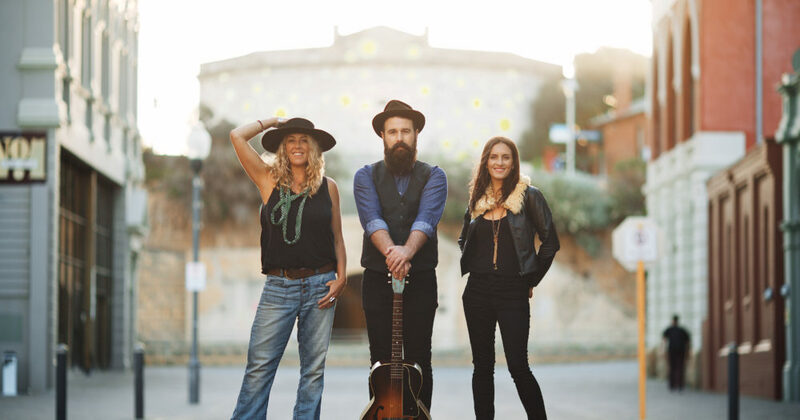 Vikki wrote the song with WA singer Bex Chilcott, better known as Ruby Boots, in a session in Utah that marked Vikki’s first attempt at co-writing and that produced several co-writes for Ruby Boots’ debut album, Solitude. 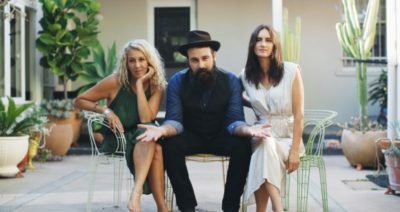 Donna’s “Rowena and Wallace” is a bluesy coming-of-age romp punctuated by Vikki’s harmonica stabs and Josh’s piercing electric guitar, while Josh’s “Born to Love” echoes the folk/blues swagger of his hit song Lighthouse from the band’s breakthrough, ARIA Award winning album Up All Night (2003). There’s a similar bent to “6000 Miles”, on which Vikki contemplates the distance between her old home and her new one. The closing “February”, a sparse acoustic ballad that develops quickly into a full-tilt rocker, has Vikki anticipating warmer, brighter days: “February hitches up her skirt and rolls her stockings down,” she sings.